.... The new Holmes operates as a police consultant in contemporary London. The police are suspicious of him (one accuses him of being a “psychopath,” to which he replies that he’s a high-functioning sociopath). He doesn’t wear a deerstalker or Inverness cape, but those costume elements have tended to be overused (and inappropriately used) in films and TV shows anyway. The modern world doesn’t allow him to smoke, so he relies on multiple nicotine patches when he needs to think out a problem. He does take drugs. The actor who plays him (one who rejoices in the name Benedict Cumberbatch) looks too young for the part, but has the attitude exactly right. I think what pleased me best about the episode, though, was that it was clearly written by people who know the Holmes stories, and enjoy riffing off the “canonical” material. For instance, in the scene where the body is found, the word “RACHE” has been scratched in the floor by the victim (in the original version, it was written in blood on the wall by the murderer). In the original, Inspector Gregson assumed that someone started writing the name “Rachel” and was interrupted. Holmes condescendingly informed him that “Rache” is German for revenge. 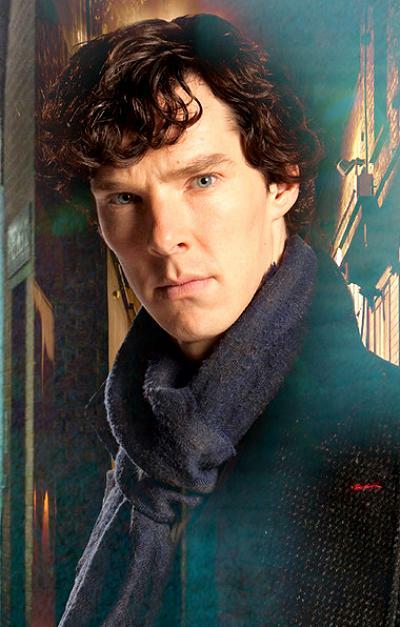 The three episodes of the first season of Sherlock are already for sale from Amazon and will be released next month.